Card Text Play: Deal 3 to each creature. 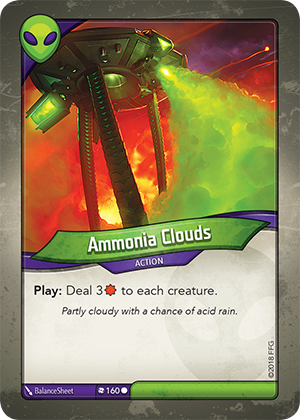 Flavor text Partly cloudy with a chance of acid rain. No. This affects every creature, including your own.